well-chosen arrangements and original compositions. 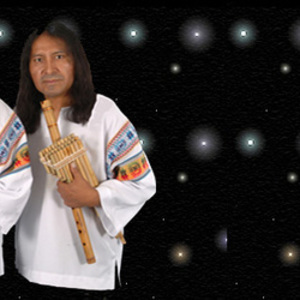 Their energetic stage presence and their use of a mix of traditional and modern instuments have allowed the members of Kala Marka to stand out among the many groups now performing Bolivian traditionnal music. They now perform all around the world, in America or Europe, in Canada or Israel, wherever the public ask for their inimitable style and music! RESULT : An unsurpassed swinging music that has the most difficult audiences clapping their hands and tapping their toes. Pleasant musicians, warm, heartfelt swinging music enjoyed by all !